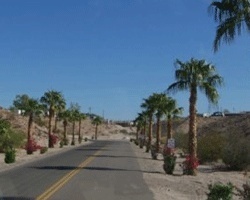 *Ridgeview RV Resort* is part of the Sunrise Resorts vacation network! Being part of this club is the best way to relax and enjoy yourself in the great outdoors! 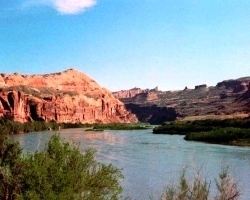 Members enjoy great locations in premier RV destination locations (including snowbird destinations). Enjoy the swimming pools, Jacuzzis, clubhouses, laundry facilities, boat slips & launches, children's playgrounds and game rooms, and much more. There are also BBQs, weekend breakfasts, bingo, dances, and special events. Through the resort's affiliations, members have access to over 1,000 RV resorts throughout the U.S., Canada, and Mexico. 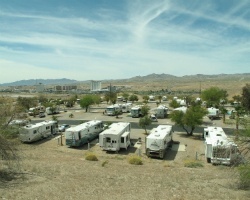 The resorts offer safe, clean and well-maintained RV sites and facilities, each with on-site management and security. Membership programs are offered that make RV camping affordable for everyone from the full time traveler to the weekend camper. Directly across the border from Laughlin, Nevada! Rare campground resale opportunity! Year round resort. Charter membership - transfer fee is only $25, not the normal $350! Price negotiable.